Sebastien Breteau is the founder and CEO of QIMA (formerly AsiaInspection). Sebastien Breteau was born on September 5, 1971 in Bordeaux. After studying at the Arts et Metiers school in Paris, he enrolled in HEC Paris, from which he graduated in 1997. Sebastien started his career in the Safran group (formerly Sagem) in Hong Kong, where he developed his experience with the Asian markets and supply chains. In 1997, he started his entrepreneurial career by being the first company to import Tamagotchi to France. He then created a company specializing in the design and export of promotional products and packaging, servicing large FMCG companies in Europe. The company expanded and opened offices in France, China, Bangladesh, the United Kingdom and Denmark and developed an internal need for quality control and supplier compliance. Sebastien decided to focus on this new activity and launch it as a separate business entity – AsiaInspection – selling his initial company in 2006. While working in the early 2000’s in the trade sector between Asia and Europe, Sebastien observed a number of specific challenges that Western companies, especially SMEs, face when trying to secure third-party audit services, with responsiveness and ease of access to service being the biggest issues. To address that gap in the market, Sebastien Breteau founded AsiaInspection in 2005 with the core concept of taking quality control online. Putting technology at the heart of the business model, with a web and mobile platform allowing clients from anywhere in the world to easily book, receive and manage inspections, supplier audits and lab testing reports came as a breakthrough in the industry. AsiaInspection's innovation did not go unnoticed, as the company received the Best SME award from behalf of the French Chamber of Commerce in 2006, and the 'E-Business of the Year' award from Alibaba in 2008. In 2018, AsiaInspection became QIMA to better reflect the global coverage and the tech-enabled services the company provides. Over the years, Sebastien has led QIMA through a number of successful joint ventures, mergers and acquisitions, including a joint venture with Silliker, a Mérieux NutriScience company, to perform food inspections in Asia (2011); acquisitions of quality control company Asia Tech QC and Chinese testing company CHB (2013); and a merger with prominent testing provider ANSECO Group (2015). Most recently, QIMA expanded its service offering by acquiring Produce Inspectors of America (PIA), a global perishable food product inspection company; ETIC, a prominent eyewear testing and inspection company in Hong Kong and China; and GOAL, a Mexican inspection company specializing in pre-customs clearance inspections (Previo en Origen) services. Today, QIMA employs over 2,000 inspectors and auditors, and provides product inspections, supplier audits, and laboratory tests in 85 countries. As the CEO, Sebastien strives to keep QIMA on the forefront of innovation with his bold vision and hands-on management attitude. Sebastien Breteau is the founder of his own charity foundation, the Breteau Foundation, which aims to promote education in developing countries by providing digital education tools to underprivileged children worldwide. The Breteau Foundation operates in fifty schools in 7 countries (South Africa, Colombia, China, Malaysia, Indonesia, India, Myanmar). As of 2018, its programs have served to empowered over 500 teachers and almost 17,000 students. He is also an active investors and has invested in over 50 start-ups across all continents. 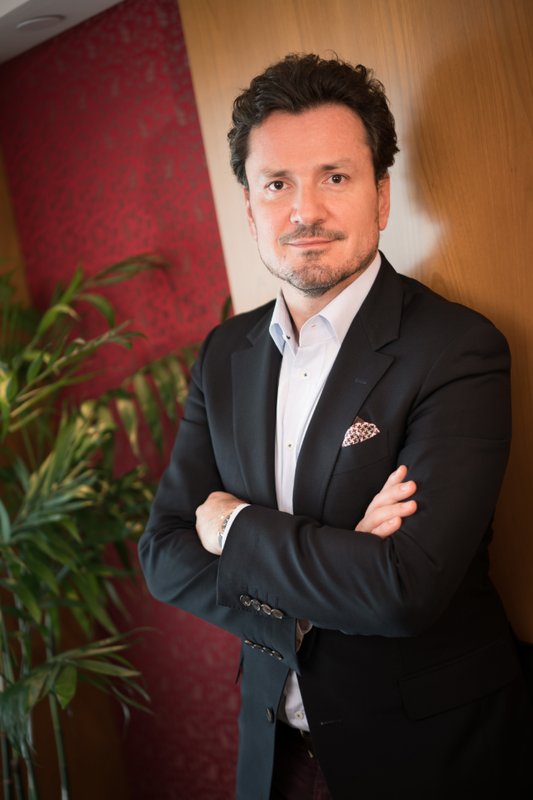 Sebastien Breteau regularly appears in the global media as an expert on manufacturing and quality control in Asia and economic issues in China. He was cited by The Wall Street Journal and Forbes on the increase in demand for social audits in China. "As global trade continues to increase, and supply chains get increasingly complex, buyers from brands, retailers, importers need increased visibility and control over their manufacturing worldwide. Our ambition at QIMA is to make it easier for our clients to control the quality and compliance of their product and suppliers through the use of our services and the real-time supply intelligence we offer them."